Samsung today announced revenues of £26.6bn thanks to a huge boost from its mobile business. The overall revenue amount was 21% higher than the same period last year, with operating profits rising 79% year-on-year to £3.7bn. But the division to thank was its mobile communications business, growing revenues by 75% from last year to reach £11.5bn. 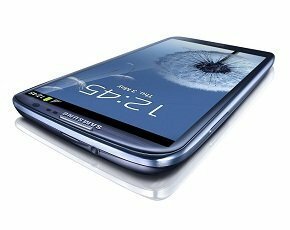 This included sales of its flagship Samsung Galaxy S 3 smartphone, which reportedly hit shipments of 10 million this quarter, and its Galaxy Note tablet. However, the semiconductor division performed badly. Despite still having revenues of £4.8bn, profits dropped by a significant 38% and sales were down 6% year-on-year. Robert Yi, senior vice-president and head of investor relations at Samsung, was reserved with his praise of the business, claiming the economic market, especially in Europe, would continue to present challenges into the next quarter. “Despite a difficult business environment, we achieved stable profits in the second quarter through our differentiated products and competitive technology,” he said. “As we move into the second half, continued fiscal instability in Europe and its effect on the global economy will result in the possibility of a slower-than-expected recovery and intensified market competition,” said Yi. Sales of LTE-based technology were also down, but here Samsung expected a rise over the next few months as more countries roll out the connectivity. “Samsung will enhance the competitiveness of our main businesses and reinforce our value-added, differentiated products as a means to improve earnings,” said Yi. In April, Samsung was named by Strategy Analytics as the mobile manufacturer shipping the most devices, knocking Nokia off of the top spot for the first time in years. In May, it was also given the accolade of shipping the most smartphones, taking over from Apple and its iPhone, according to Juniper Research.